WIN #60: A Month's Supply Of Nappies & Wipes from The Co-Operative! 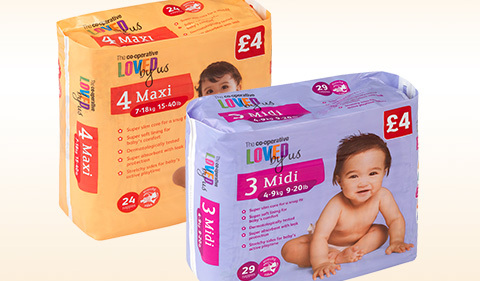 Win a Month's Supply Of The Co-Operatives Loved By Us - Nappies and Wipes! The Co-Operative Food introduced it's own brand nappy range as part of their then new ''Loved by Us'' range in November 2013. With nappy packs starting at just £2.75, and with near enough everyone having a Co-Operative near by, it is with great pleasure that I can announce I have a month's supply of nappies and wipes to give away to one lucky reader/visitor. All month I've been hosting competitions twice daily, and to celebrate yet another successful blog birthday, I think it's lovely that The Co-Operative are going to give one lucky winner a whole months supply of nappies and wipes, not only will it save time and money, but the products will also bring trust and quality to any home with a baby or toddler present! The Loved By Us nappy range was given the seal of approval by a team of parents, who tested the nappies on their babies and young children a part of a robust testing regime. Families scored the products highly for their ease of use, effectiveness and quality. The nappies are all dermatologically tested and are available in the following sizes; New Born, Mini, Midi, Maxi and Junior. All the nappies feature a specially designed core to ensure a snug fit, along with a super soft lining for comfort! 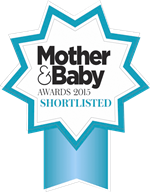 The nappies was also shortlisted for a Mother and Baby Awards 2015, out of dozens of products! For your chance to win a month's supply of The Co-Operative baby essentials (six packets of wipes, and six packet of nappies - you choose the size!) enter the competition via the Rafflecopter form below! Please note: You must at least follow or like Unique Young Mum and The Co-Operative on at least one social media platform! To find out more about The Co-Operative, and to view their full range of products, check out the official website here. Good luck to everyone and thank you for a lovely month!